Press room > Current page:: Brexit and the European Parliament: What does it mean for science and research? Brexit and the European Parliament: What does it mean for science and research? The science community has always been one of the most supportive of the EU. As Professor Graeme Reid highlighted, in a survey prior to the referendum, 93% of members of the science community expressed their support for the EU. In Professor Reid’s opinion this shows a clear schism between the scientific community and the general public opinion over the merits of the EU membership. One in which, the scientific community has always had “a harmonious and constructive relationship with the EU”. Dr James Briscoe from the Francis Crick Institute, highlighted the pivotal role played by non-British scientists and technicians in the UK’s science and research sector. He pointed out that the referendum introduced a climate of uncertainty. Professor Dame Helen Wallace told the audience of scientists and well-respected academics who are already being recruited by institutions overseas keen to adopt the model which made UK universities so successful in hiring academics from around the world. Julie Girling MEP talked of the role of the European Parliament in the Art. 50 procedure and on how the UK government plan for the science sector is full of good intentions but lacks details. Ms Girling also discussed how fellow MEPs from the continent view the UK and the Brexit debate. She spoke of the surprise as the UK seems to have abandoned its pragmatic and ‘evidence-based’ approach to politics. 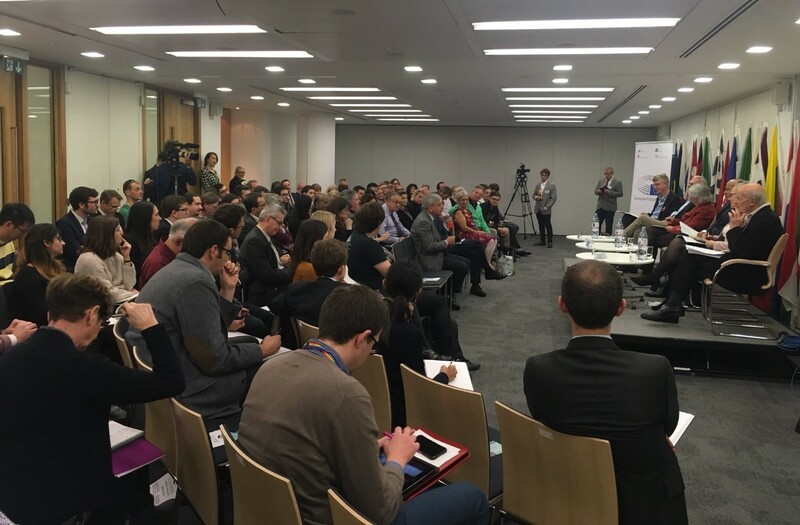 The panellists all agreed that the main concern for the science-sector post-Brexit is not connected to the financial situation but rather the networks and joint projects which the EU has encouraged through its programmes over the years. During the Q&A, the public asked several questions related to the future of the science sector and the implications it might have for the national and local economy. For example Steven Lambert, a local councillor in Buckinghamshire, spoke of his fear of a knock-on effect after Brexit for areas in which high-tech companies are some of the biggest employers. To watch in full the video of the debate please click here.